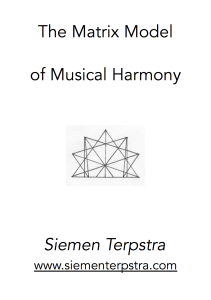 The principle of harmonia - the mediation between extremes through the application of logos or proportion – is the preeminent, central concern of Pythagorean cosmology and philosophy. According to Philolaus (b. c. 470 B.C.E. ), the earliest Pythagorean whose fragments have survived, “Nature in the universe was harmonized from Limited and Unlimited elements, both the totality of the kosmos and all the things in it.” Moreover, “Harmonia comes to be in all respects out of contraries; for harmonia is the unity of multiplicity, and the agreement of things that disagree.” The nature of harmonia, the “fitting together” of extremes, was studied by the Pythagoreans on the monochord. 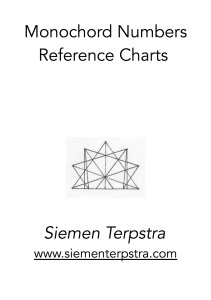 This entry was posted in Just Intonation, Monochord, Philosophy on 1 December 2014 by Siemen. The divisions of the monochord string can be represented by four methods: proportional ratios, string lengths, logarithms, and cents. The modern division by cents is derived from the 18th century application of logarithms to music, and cannot be directly applied onto the instruments without further calculation. 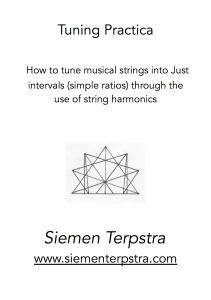 hence I will only consider ratios and string lengths here. The calibration by string lengths is derivative from the proportional system. It overcomes the cumbersome nature of fractional ratios by clearing fractions through a least common multiple chose as the length of the open string. 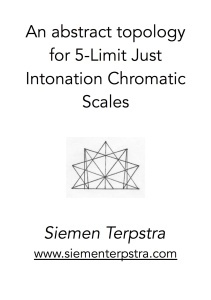 This entry was posted in Just Intonation, Monochord on 1 December 2014 by Siemen. 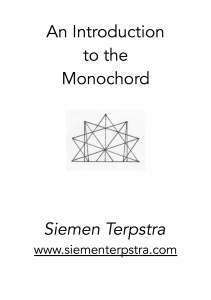 The author puts together a collection of 3-limit, 5-limit and 7-limit monochord divisions. He lays them out on the matrix and presents both the monochord division and its reciprocal harmonic series component. He emphasizes the invariant zone between the reciprocals. This list of monochord divisions was extracted from my MONOCHORD NUMBERS REFERENCE MATERIAL. In that paper I generated every consecutive just monochord (the series terminating at an arbitrary level of interval complexity) by setting up a strict mathematical rubric. 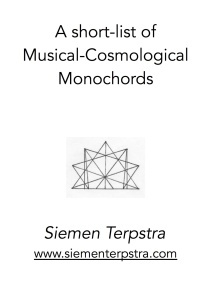 In this paper I selected from this collection the monochords which have the greatest musical and cosmological relevance. I have also presented them in a slightly different manner, in order to bring out the ‘family relations’ between the divisions. It is assumed that the reader of this paper has some familiarity with the monochord concept, and has read my MONOCHORD PRIMER. For manay years I have been encouraging the use of JI tuning for harps, zithers, and other appropriate stringed instruments. 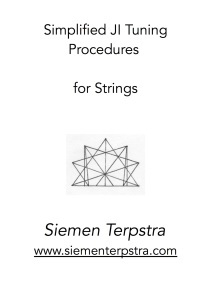 The results of many workshops have impressed upon me the need for a simplified tuning procedure for implementing JI on acoustical stringed instruments. Certain recurring mental blocks keep reappearing among musicians, for example, the inability to handle ratios. At the same time, many of the musicians I encounter who have a genuine interest in JI are implementing it solely through electronic media, especially synthesizers. The electronic keyboards have great potential in exploring new tunings and timbres, but re-tuning them is (dare I say it?) almost too easy! The proliferation of tuneable electronic keyboards presents the potential danger that hands-on tuning skills for strings may be lost. Each pattern defines a Class of Just scales, each Class embodying twelve primary modes (not presented here). 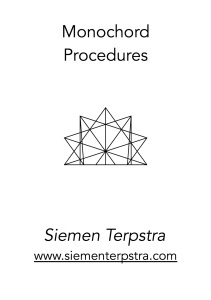 Symmetrical structures are centred in the page; whereas, non-symmetrical patterns are paired by complementarity. Historical references are presented where appropriate. The classification progresses from generally “horizontal” tuning to generally “vertical” tunings. 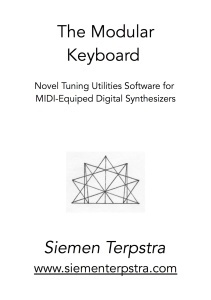 This entry was posted in 53-et, Just Intonation on 1 December 2014 by Siemen. A picture is worth a thousand words, and this collection of diagrams is largely self-explanatory. However, a brief introduction to the conceptual framework is in order. 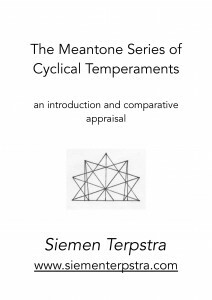 The matrix is an integrated model for the description of cyclical temperaments, that is, temperaments which can be expressed by one or more circle of fifths. As such, they are equal temperaments, using some step interval as a basic building block. Of course, the most familiar of such temperaments is 12-E.T. But a host of others exist, which need to be evaluated according to their interval structure and musical worth. This entry was posted in Multiple Divisions on 1 December 2014 by Siemen.